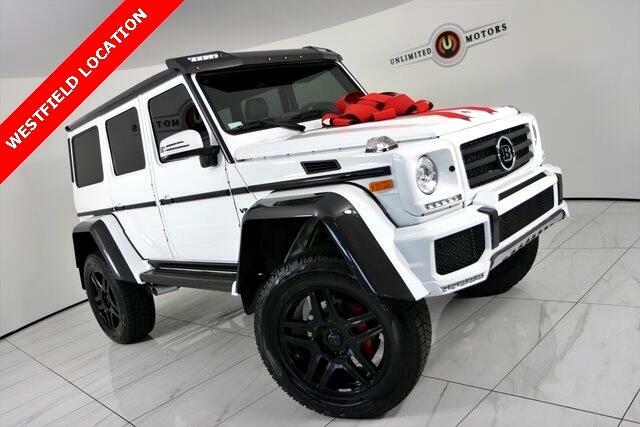 Navigation, Back Up Camera, Bluetooth, Sun/Moon Roof, Running Boards, Heated Seats, G 550 4MATIC® SQUARED BRABUS STYLING, 4D Sport Utility, 4.0L V8, 7G-TRONIC 7-Speed Automatic, 4MATIC®, Leather. Clean CARFAX. Message: Thought you might be interested in this 2017 Mercedes-Benz G-Class.